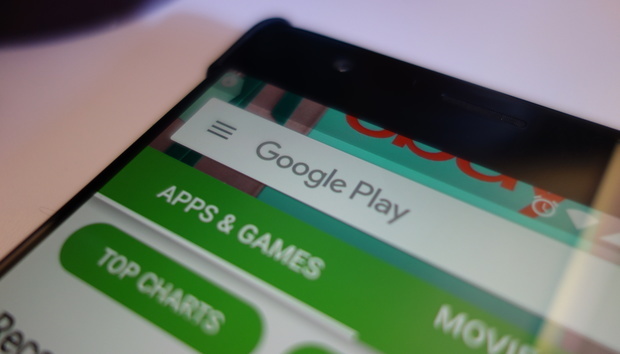 At its annual Playtime event today Google showcased how it plans to make Play Store apps safer, speedier, and easier to find. The bottom line: You’re about to see a whole lot more Instant Apps. Android’s Instant Apps were officially launched at I/O in May, but we’re just now starting to see how monumental they can be. Designed to get apps up and running within seconds, the feature lets users try out fully functioning Android apps without actually installing them. Just last week, Google unveiled the Instant Apps SDK 1.1, which brought a leaner and faster experience, and now Instant Apps are ready for their spotlight. Starting this week, Google will be integrating Instant Apps right into the Play Store via a new Try it now button. Now, when you view an app with a companion Instant App in the Play Store, you’ll be able to take it for a test drive without actually needing to install it. This isn’t a demo or a interactive ad—it’s the full native app running off Google’s cloud instead of your phone. Also announced at the Playtime event was a renewed focus on reporting bugs. Google is launching a bug bounty program that will reward developers up to $1,000 for each vulnerability that is resolved. Additionally, there will be new developer tools and beta testing to help identify crashes and vulnerabilities before the app is launched. For gamers, Google has created a new home for games inside the Play Store, with two new options for discovery: Premium (for paid games) and New (for upcoming and trending games). The new Play Store changes will be rolling out to all users beginning Thursday. Why this matters: Instant Apps are the future of mobile apps. Combining the speed of a web app with the design and functionality of a native one, Instant Apps not only free up space, they also let developers target specific features and sections exactly when a user needs it. For example, McDonalds could offer an Instant App for ordering when looking up a location, or Yelp could offer to show reviews for a nearby restaurant. It may be limited to discovery and sharing today, but Instant Apps is the first step toward a future where we don't need hundreds of apps cluttering our app drawers and home screens and taking up precious space on our phones. Do introverted CIOs face particular leadership challenges?